Home > Tools > Console: Free Camera, Change Weather, Change City,…. Console: Free Camera, Change Weather, Change City,…. By using the console option in Euro Truck Simulator 2, you can use the free camera to take better screenshots, change the weather from raining to beautiful day, bring your truck to another city with a blink and much more other awesome things! There have been a lot of people asking me about this feature. And today I am giving it to you guys! 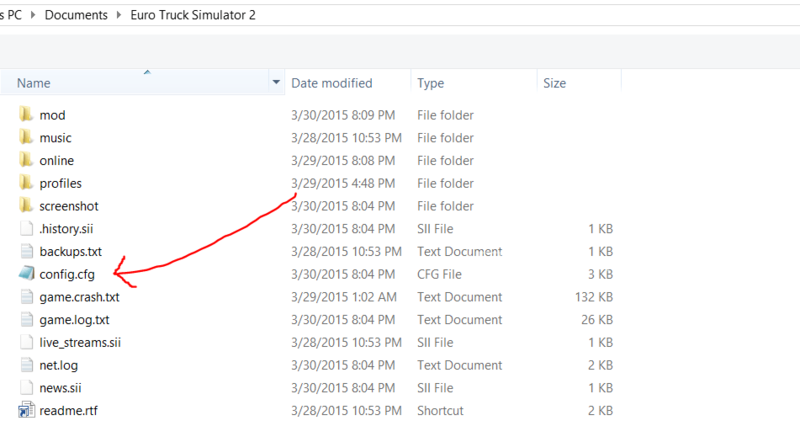 How to enable console in Euro Truck Simulator 2? Just follow these simple steps to do that! 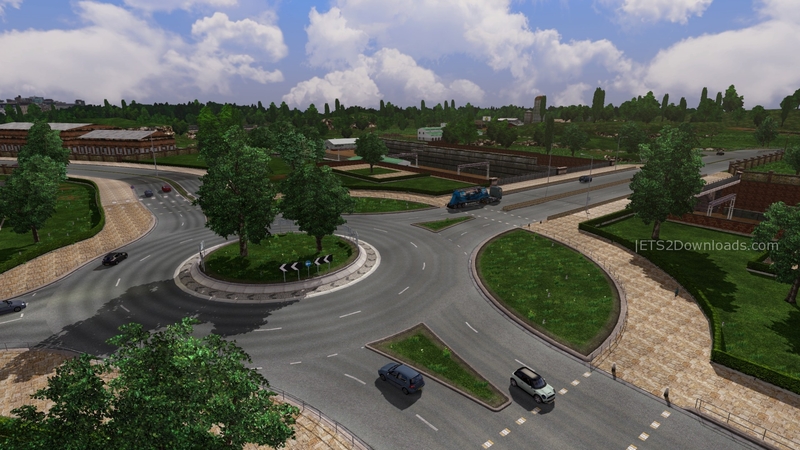 Browse to Documents/Euro Truck Simulator 2/ folder. Double click on the file named config.cfg, then choose to open it with Notepad. After changing 0 to 1 in those line, Ctrl + S to save it. 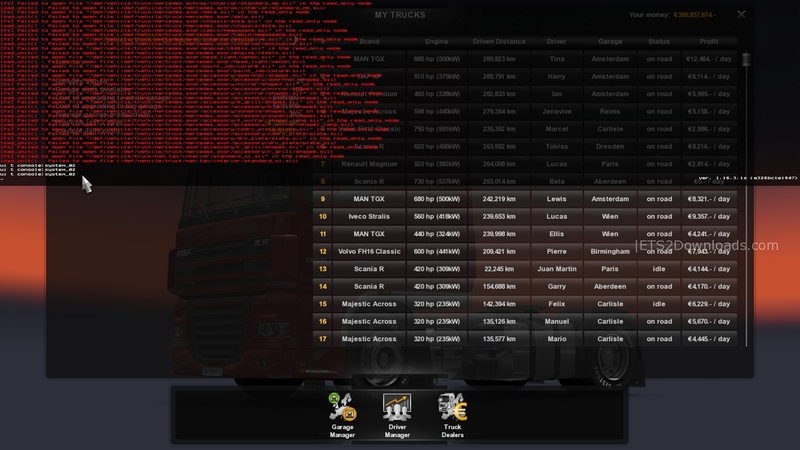 How to use Console in Euro Truck Simulator 2? You can type all things there. Just press enter button to submit the command! Note: After enabling the console option, you now can use the free camera feature in game. While you are in game, press 0 button to use the free camera, use the numbers on your Numpad to move the camera! Here is a screenshot that I captured by using the free camera in game! I hope with these useful experiences, you can test mods easier and take a lot of more better screenshots! Enjoy! Have you tried to open it in a new profile? Set simulations speed is WARP, not WRAP. thanks the game is so easy now..